Thank you for visiting our website. 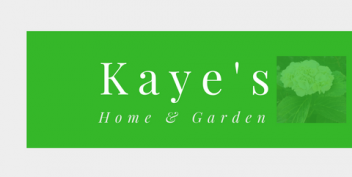 Whether you are thinking about staging your home in order to get the highest possible return on your investment, or you are simply trying to make your home into a haven of peace, tranquility, beauty and comfort, Kaye’s Home and Garden is here for you. Design: We are a passionate provider of interior and landscape redesign and decorating. We try our utmost best to revitalize and work with the current contents of your home in an effort to reduce your cost. Organize: We will work with you to reorganize and tailor the space in your home to make it most functional to suit your personal needs and style. We place great emphasis on maximizing your living space. Stage: Let us help you to get the highest return on your home. We will declutter and redesign your home to entice potential buyers. We are great at working with the furnishing you already have to make it most appealing.